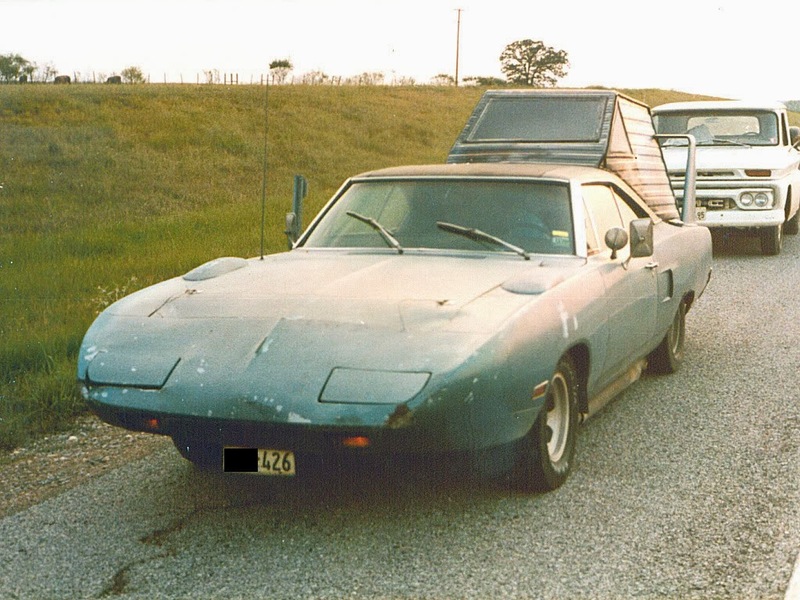 As soon as I saw the first picture of this car over on Motorhome Magazine’s Open Road forumpage I was amazed, not just by the choice of car, being 1 of 1,935 Superbirds built, but also the story behind it. "The owner was a quadrapeligic who really loved Superbirds. 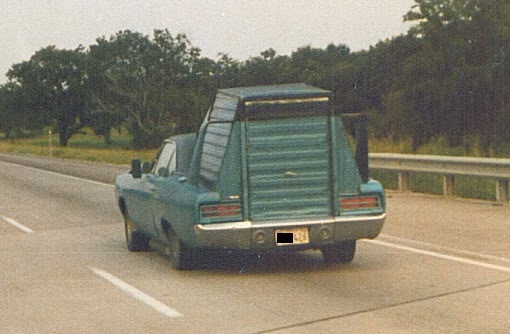 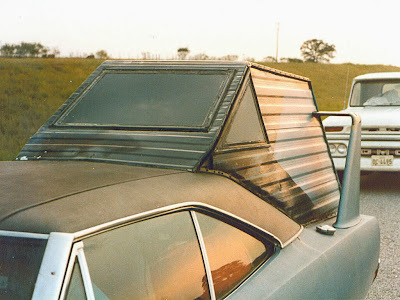 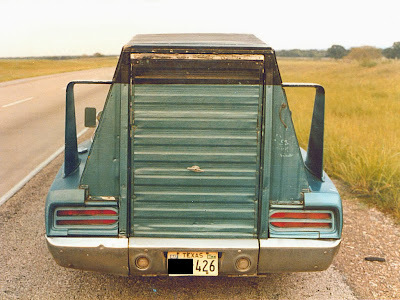 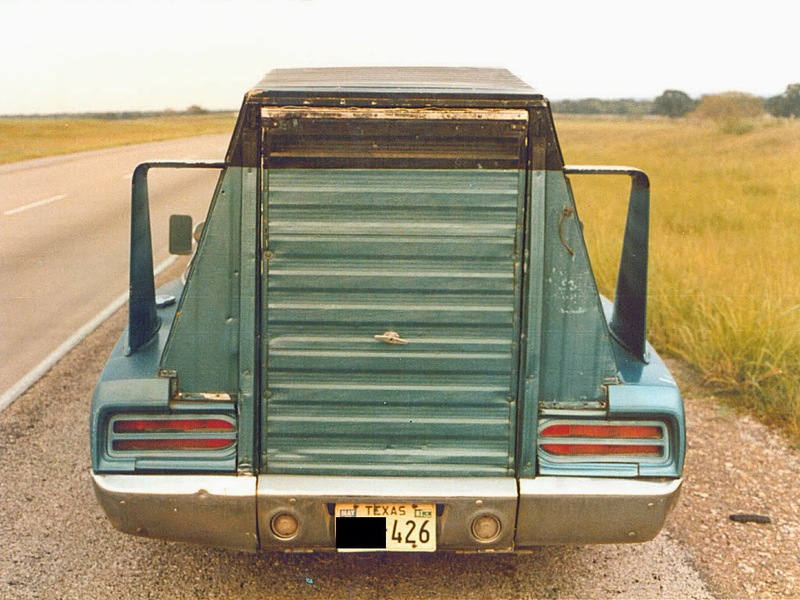 The centre section of the rear bumper was hinged to pivot down and a ramp used to allow the owner access... note the viewing windows. At the time most just considered them funky old cars..."
Remember back when it was built in the 70’s this wasn’t a rare muscle car more a funny looking factory gimmick!!! 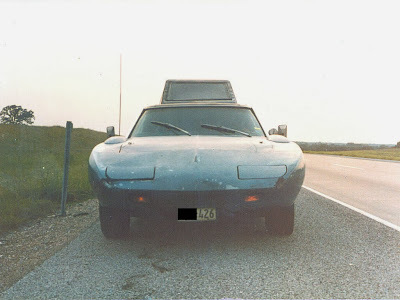 The pictures below were taken back in 1982.